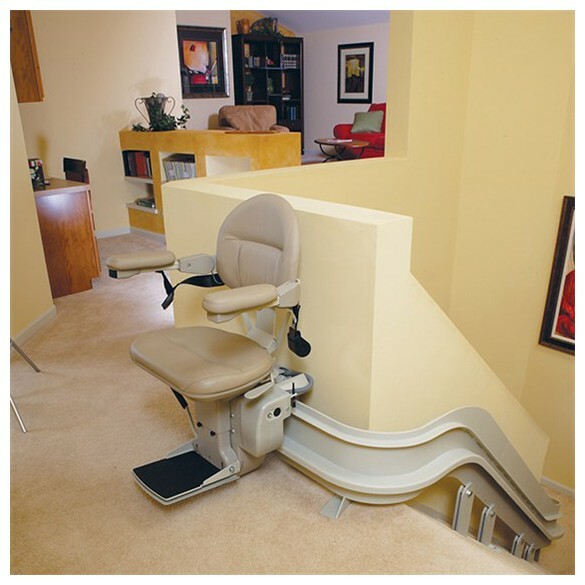 When you need a stairlift that curves, you need a Bruno Elite Indoor Curve from Gresham -- the chairlift custom built to precisely fit your home. Bruno's curved stair chair delivers a premium smooth, stable ride around every corner. Quality craftsmanship is evident on every Bruno Elite stairlift, from the quiet, dependable ride to the plush seat. Add options such as power swivel seat, wider chair or custom fabrics to tailor-make the Bruno Elite stair lift to your needs. Rely on Gresham for precision measurements, quotes, installation, and service. Made in the USA. Contact us now via the form below for a FREE consultation and customized quote based on your exact needs! Financing and Funding options are available.